This two-day course introduces you to software design and development for the Xilinx Zynq® All Programmable System on a Chip (SoC) using the Xilinx Software Development Kit (SDK). You will learn the concepts, tools, and techniques required for the software phase of the design cycle. Topics are comprehensive, covering the design and implementation of the board support package (BSP) for resource access and management of the Xilinx Standalone library. Major topics include device driver use, user application debugging and integration. Practical implementation tips and best practices are also provided throughout to enable you to make good design decisions and keep your design cycles to a minimum. You will have enough practical information to start developing software applications for the ARM® Cortex™-A9 and MicroBlaze™ processors. Additionally, this course covers developing software applications for a Xilinx embedded system based on a MicroBlaze processor. Software design engineers interested in system design and implementation and software application development and debugging using the Xilinx Standalone library. Conceptual understanding of embedded processing systems including device drivers, interrupt routines, writing / modifying scripts, user applications, and boot loader operation. * This course focuses on the Zynq All Programmable SoC and 7 series FPGA architectures. Check with your local Authorized Training Provider for the specifics of the in-class lab board or other customizations. Overview of Embedded Software Development – Overview of the process for building a user application. Embedded UltraFast Design Methodology – Outlines the different elements that comprise the Embedded Design Methodology. Zynq-7000 All Programmable SoC Architecture Overview – Overviewof the Zynq-7000 All Programmable SoC architecture. Zynq UltraScale+ MPSoC Architecture Overview – Overview of the Zynq UltraScale+™ MPSoC architecture. MicroBlaze Processor Architecture Overview – Overview of the MicroBlaze processor architecture. Driving the SDK Tool –Introduces the basic behaviors required to drive the SDK tool to generate a debuggable C/C++ application. System Debugger –Describes the basics of actually running a debugger and illustrates the most commonly used debugging commands. Standalone Software Platform Development – Covers the various software components, or layers, supplied by Xilinx that aid in the creation of low – level software. C Coding Support for Standalone – Reviews the basic services (libraries) available when coding in the Standalone environment. Memory File System (Standalone) – Introduces the memory file system (MFS) from the Standalone library, which provides drivers and utilities for effectively converting a region of memory into a file system. Using Linker Scripts – Overview of the purpose and typical use of a linker script. Introduction to Interrupts – Introduces the concept of interrupts, basic terminology, and generic implementation. Interrupts: Software Considerations – Describes many of the considerations that a software coder must take into account when supporting interrupts. Operating Systems: Introduction and Concepts – Introduces the concept of the operating system and provides a simplified view into the generic way that operating systems work. Linux: A High – Level Introduction – Introduces the Linux operatingsystem, a brief history, and how to use it. Linux Software Application Development Overview – Highlights important parts of the underlying Linux system as it pertains to applications. 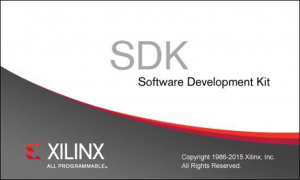 Writing Code in the Xilinx Linux Environment – Reviews the use of the Xilinx SDK tool for Linux software development. Booting Overview – Describes the main points to how booting a processor is handled for Zynq All Programmable SoC devices and MicroBlaze processors. Profiling Overview – Introduces the purpose and techniques for profiling a user application. Understanding Device Drivers – Explains the concept of a device driver and how it is used by embedded systems. Registratie op aanvraag, neem contact op met ons.